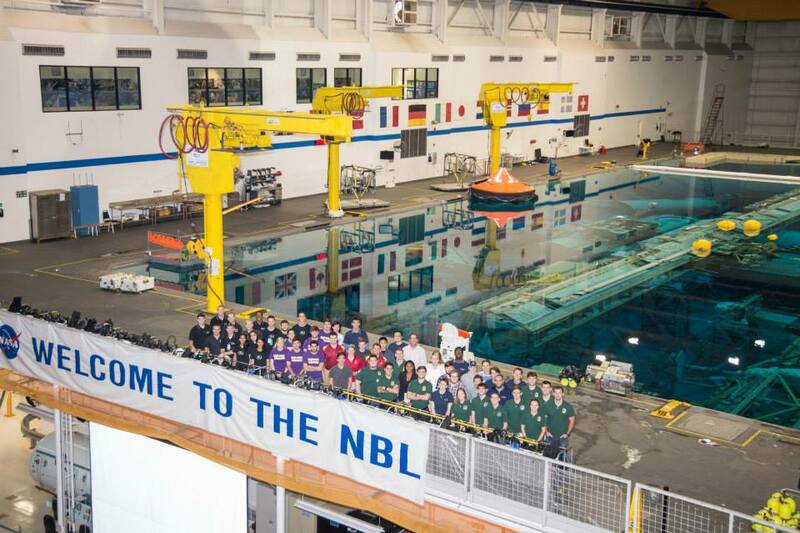 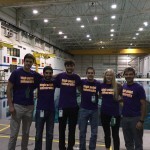 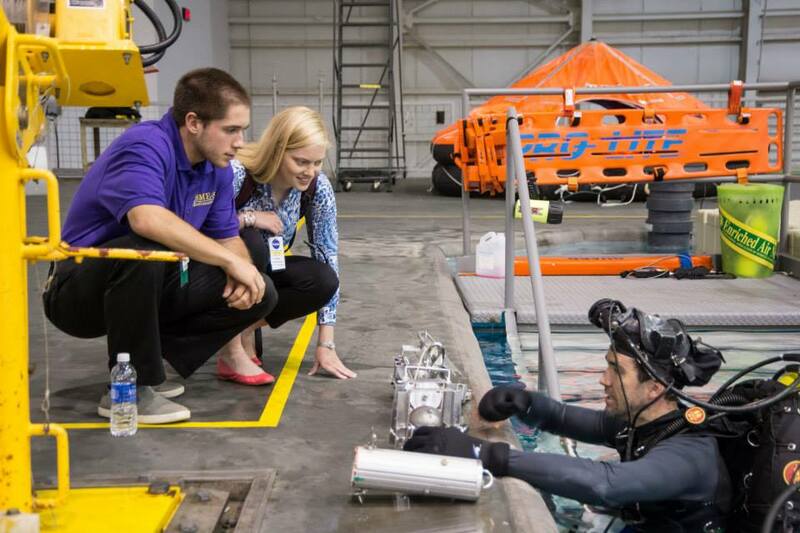 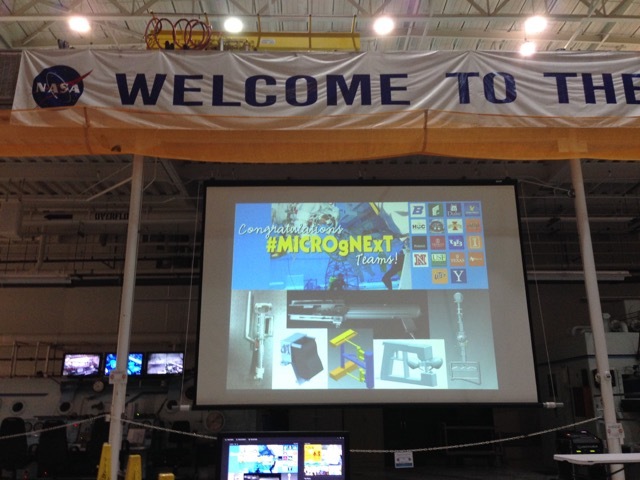 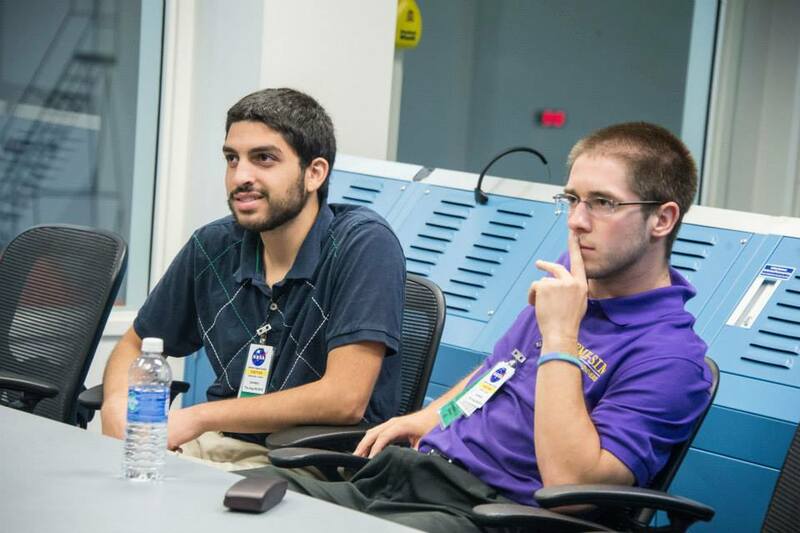 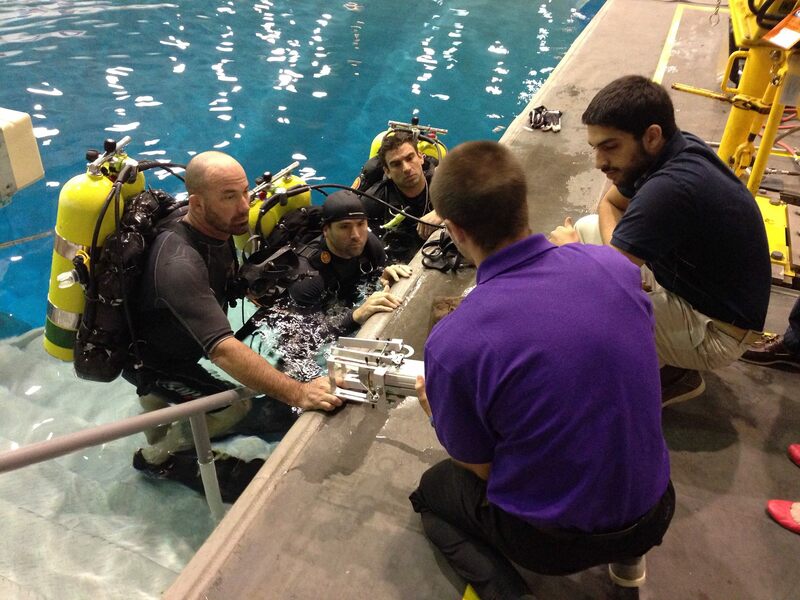 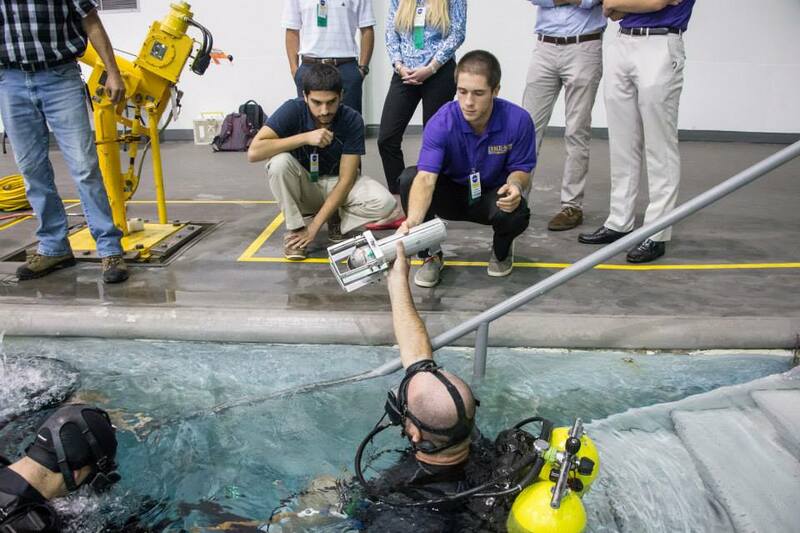 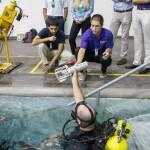 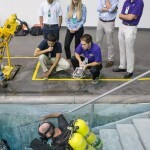 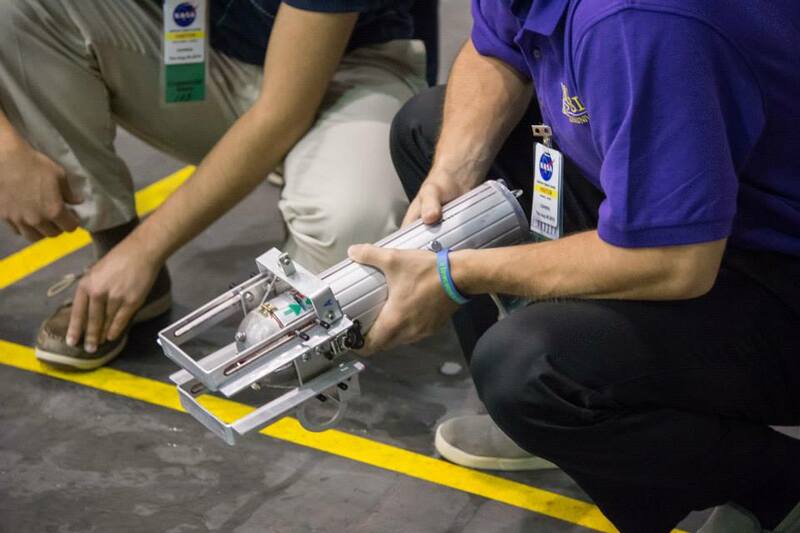 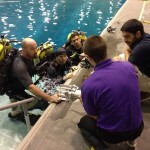 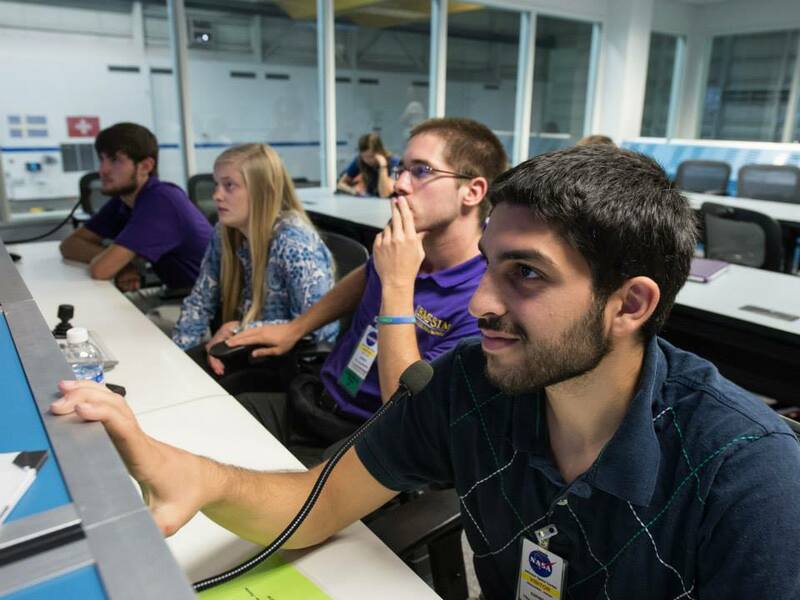 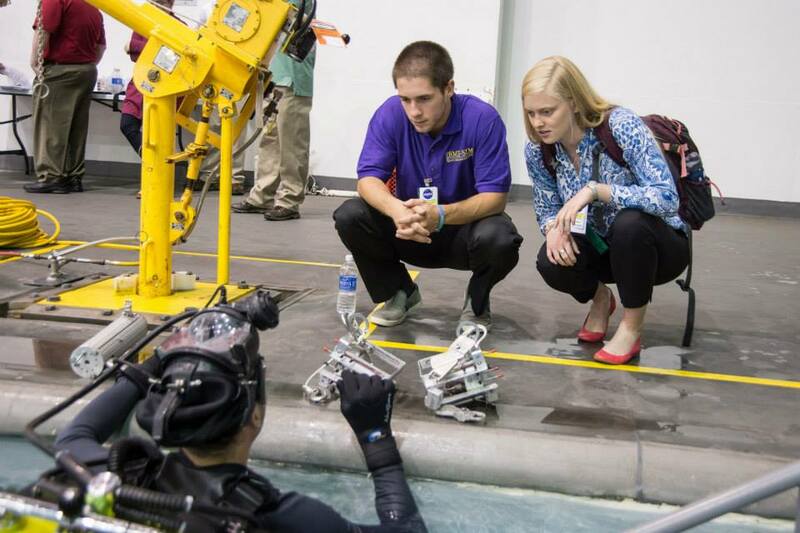 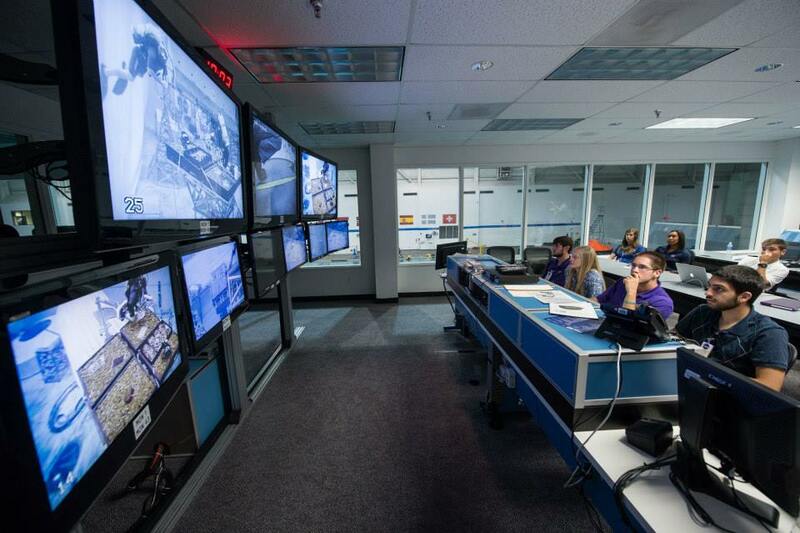 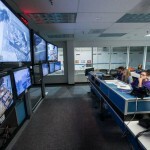 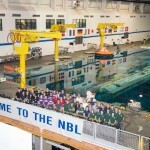 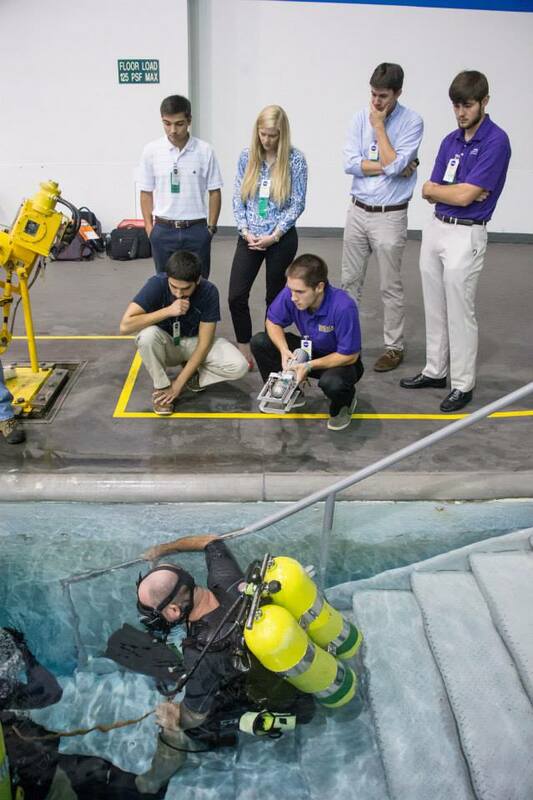 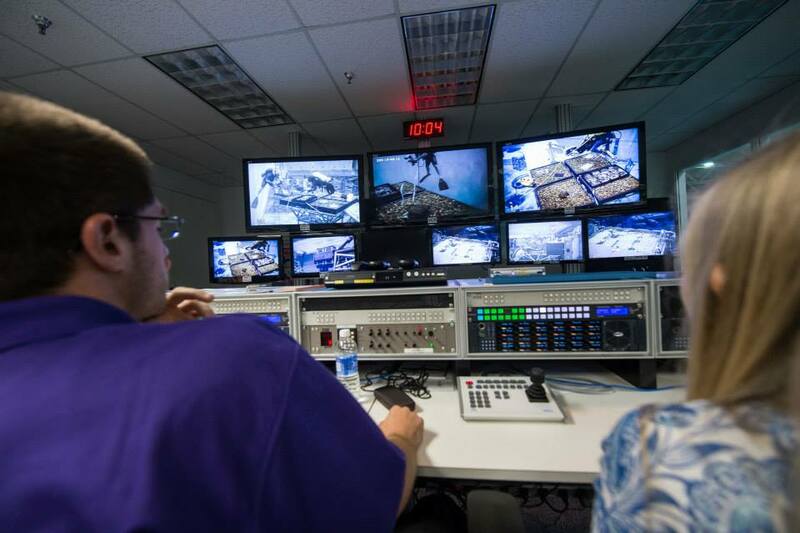 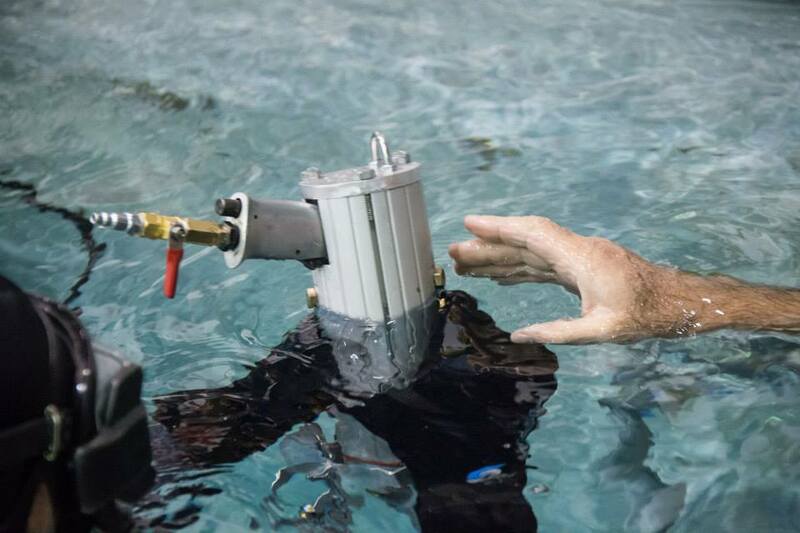 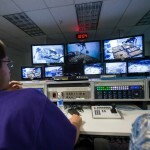 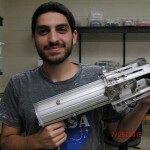 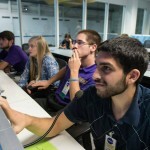 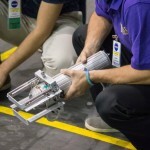 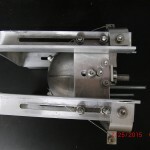 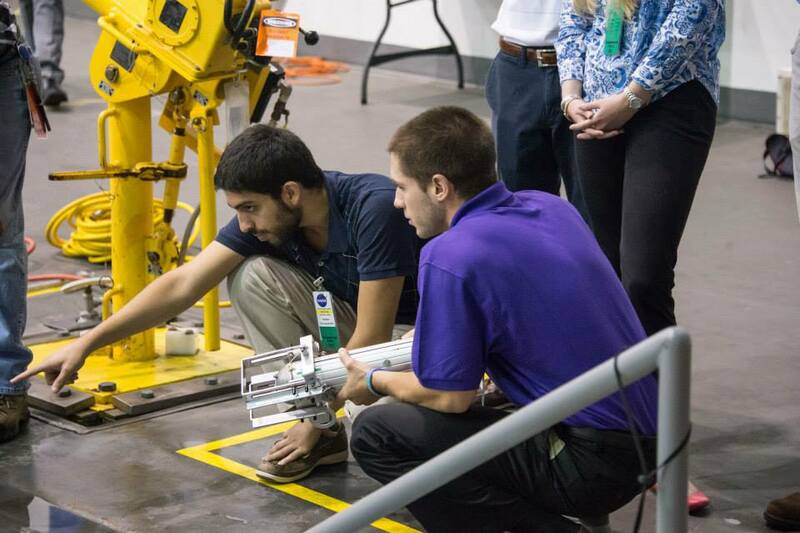 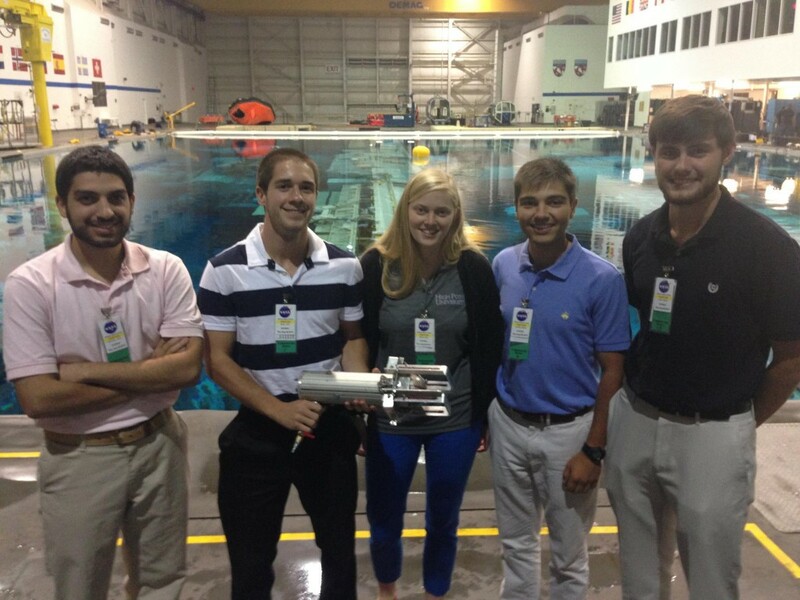 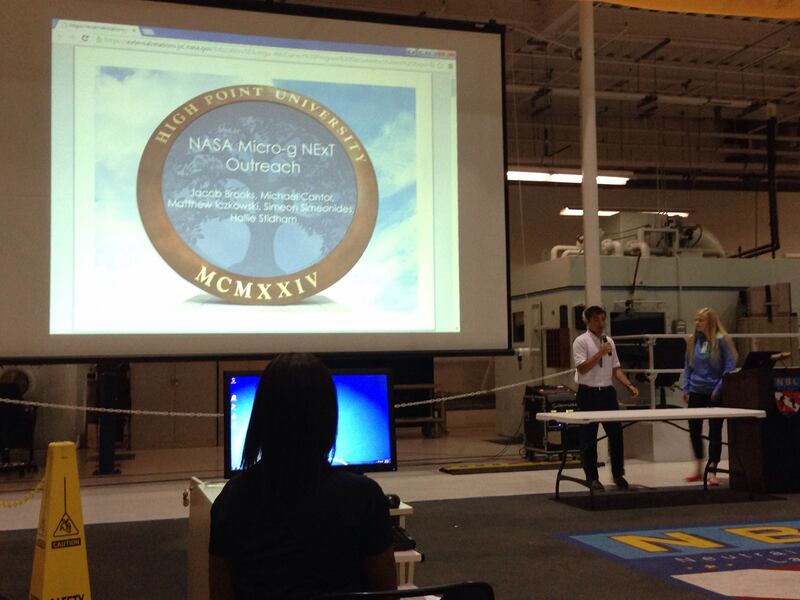 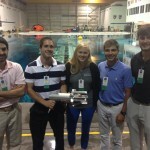 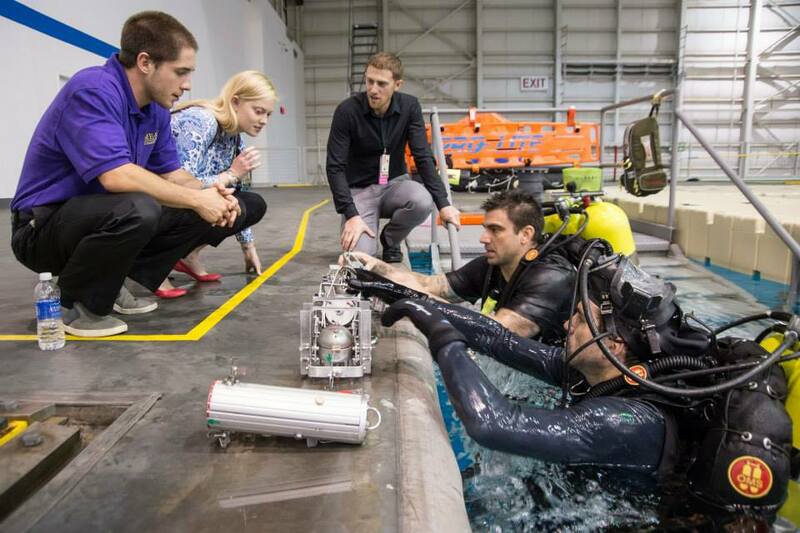 The Panther CLAWS team deployed and tested their Chip ‘N’ Ship tool for NASA at Johnson Space Center’s Neutral Buoyancy Lab (NBL) Aug. 2-7, 2015. 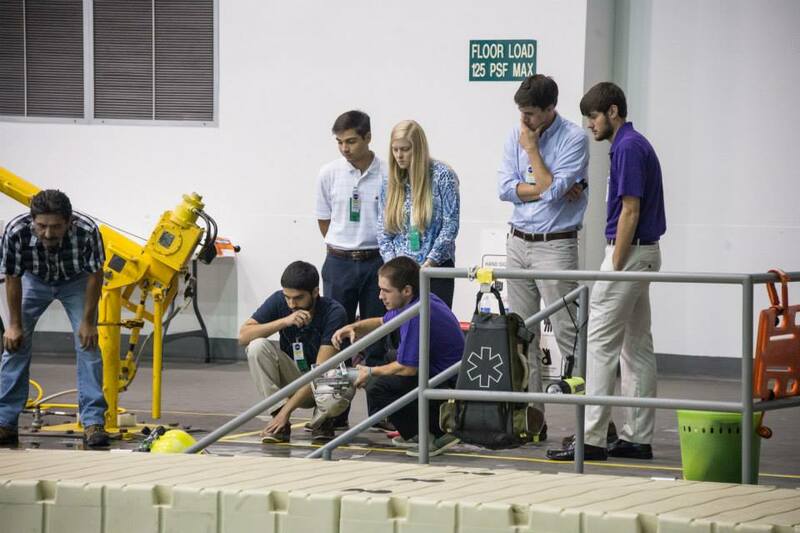 The team consisted of Hallie Stidham, Jacob Brooks, Simeon Simeonides, Matt Iczkowski, Michael Cantor, and Alan Vasquez Soto. 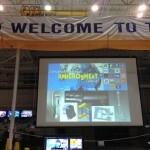 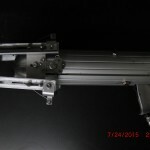 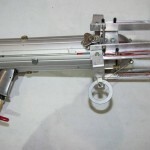 Check out the excellent video and article by NEWSFIX. 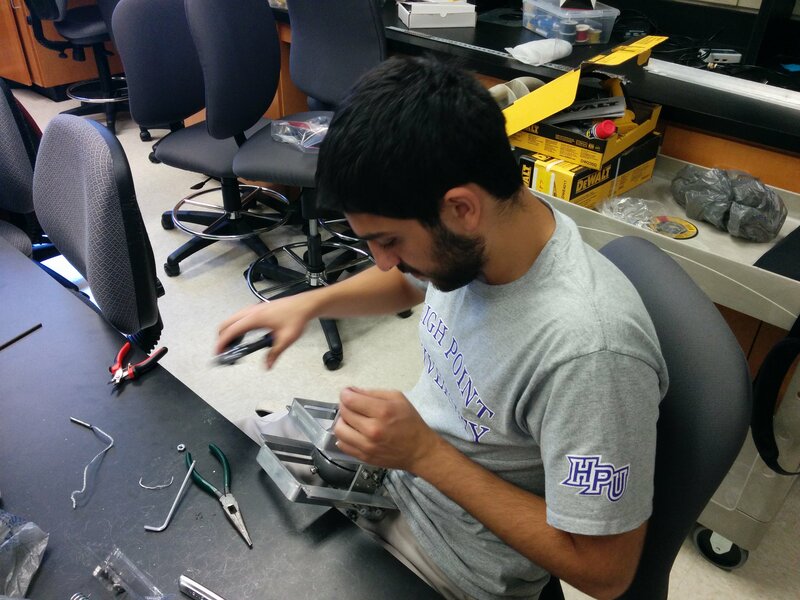 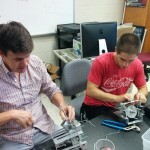 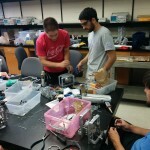 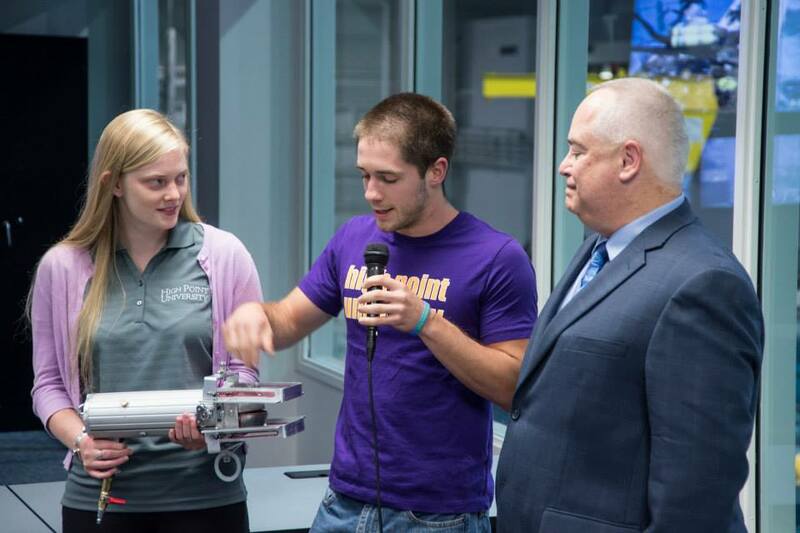 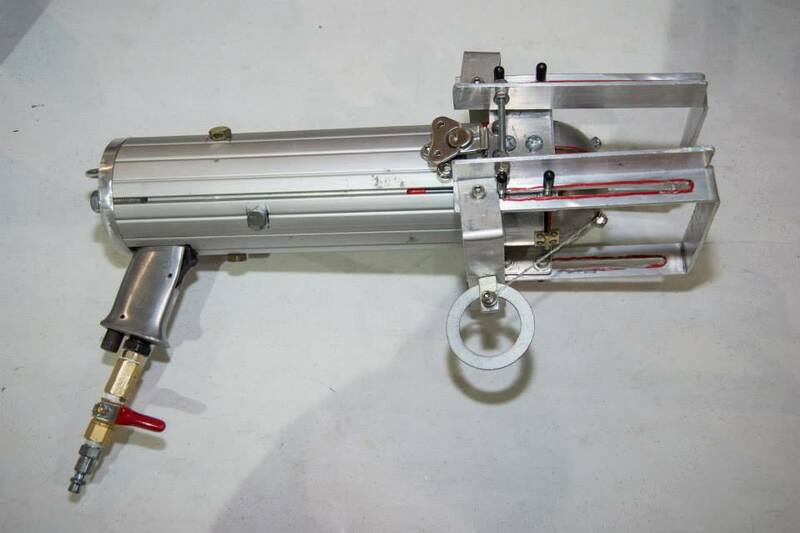 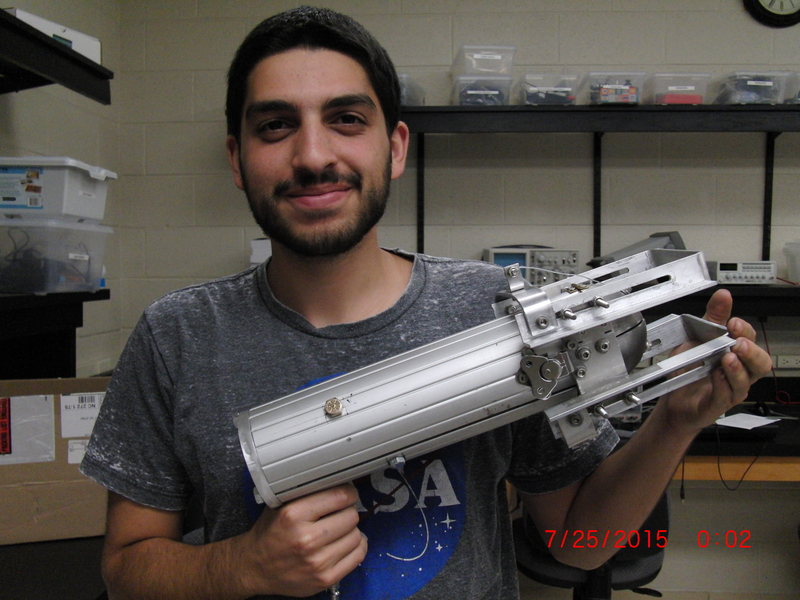 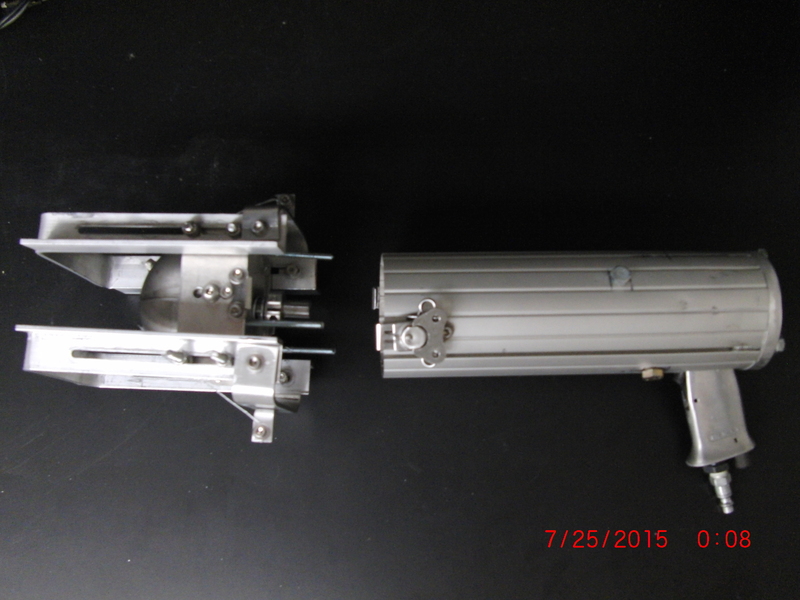 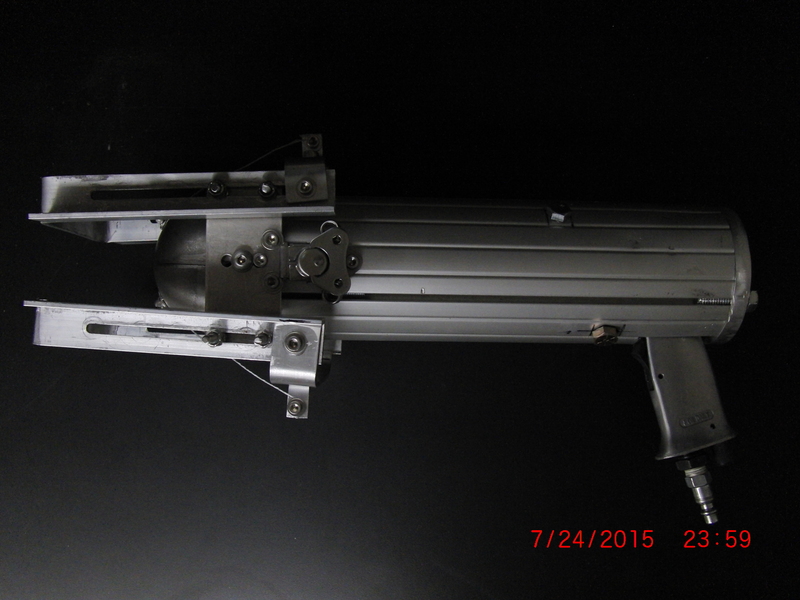 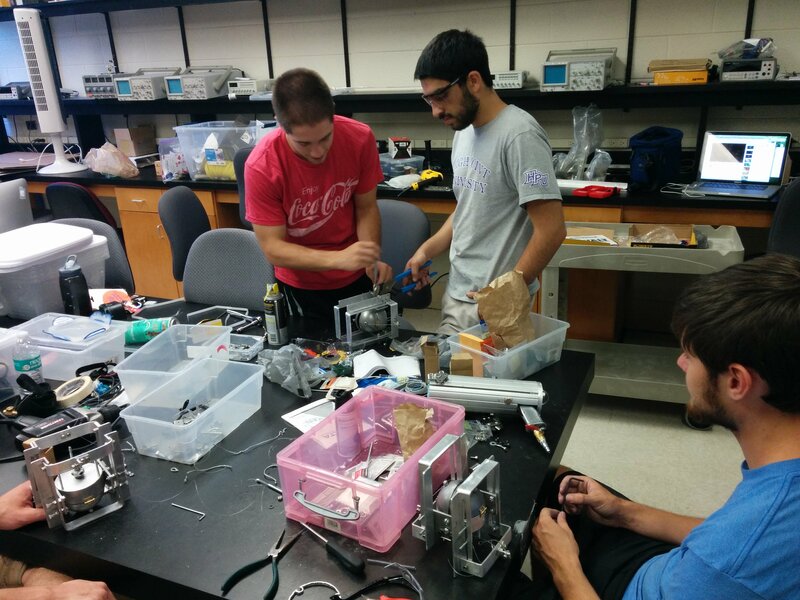 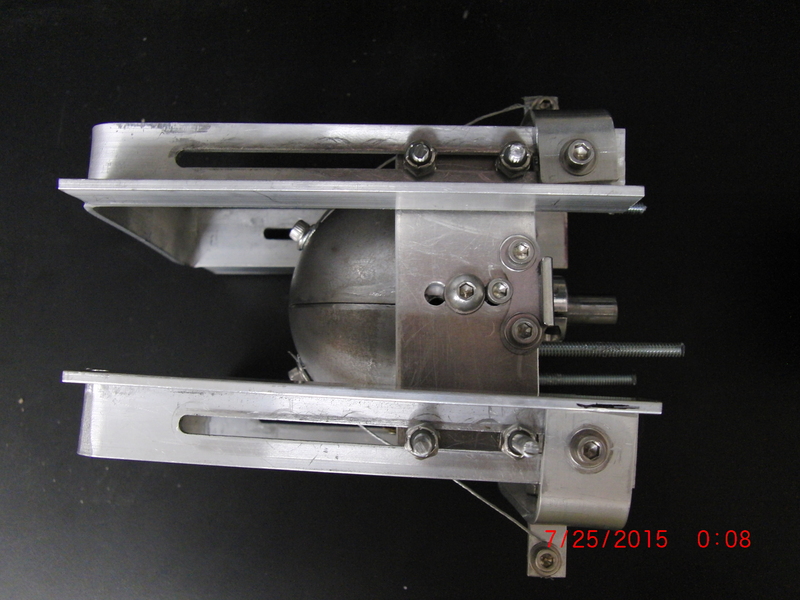 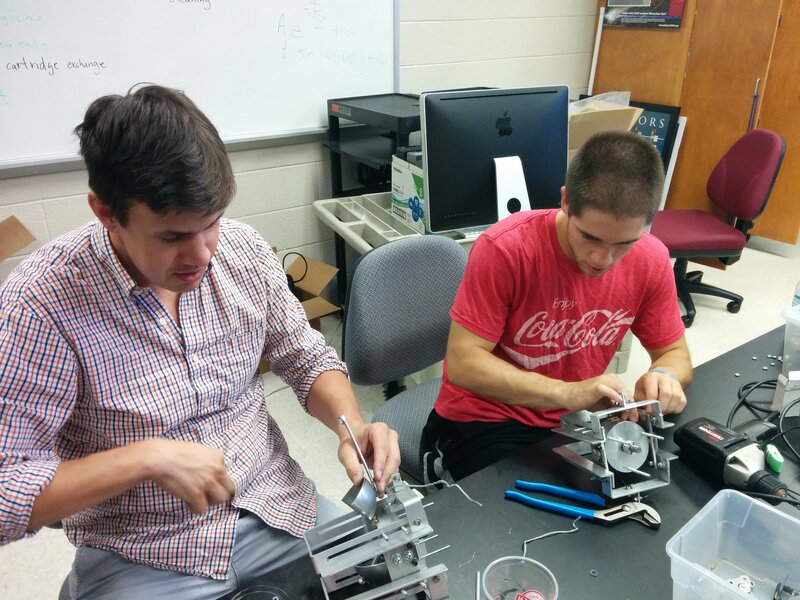 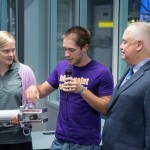 The Panther CLAWS team included alumni Eric Scarlett and Jeremy Allen who provided essential help during the summer with constructing the prototype and fabricating additional cartridges. 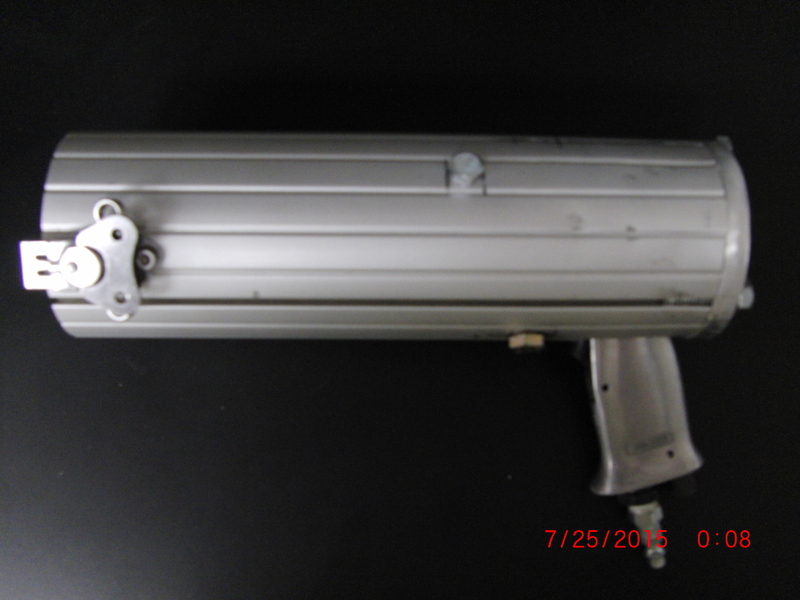 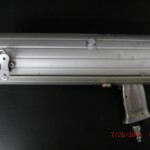 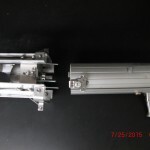 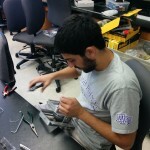 Dr. Titus helped with assembly and purchasing. 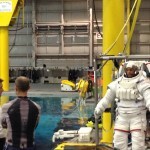 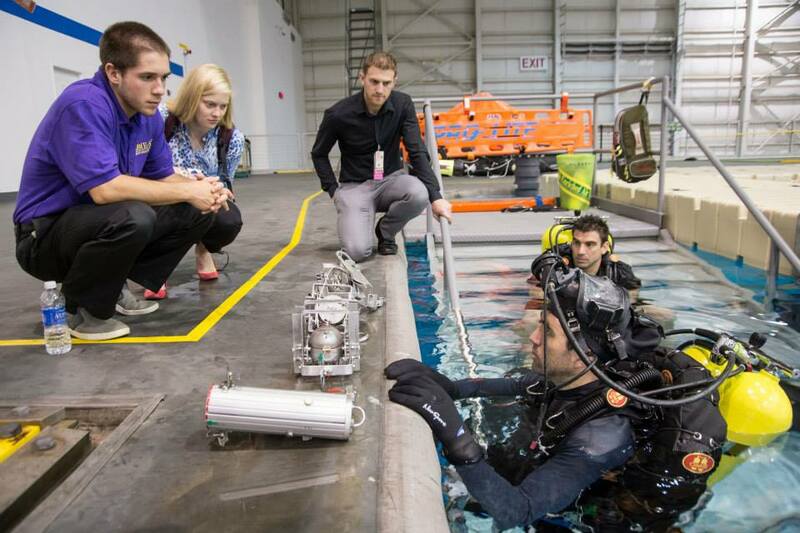 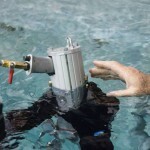 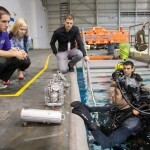 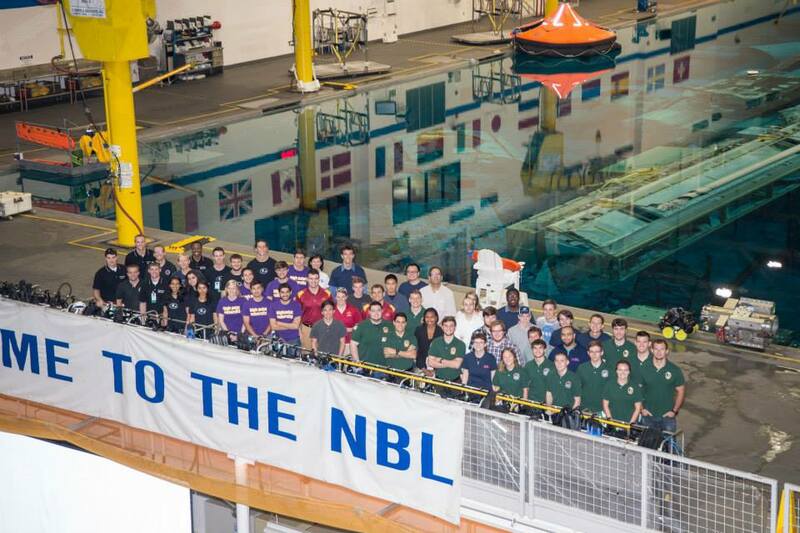 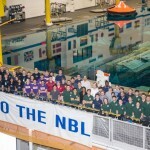 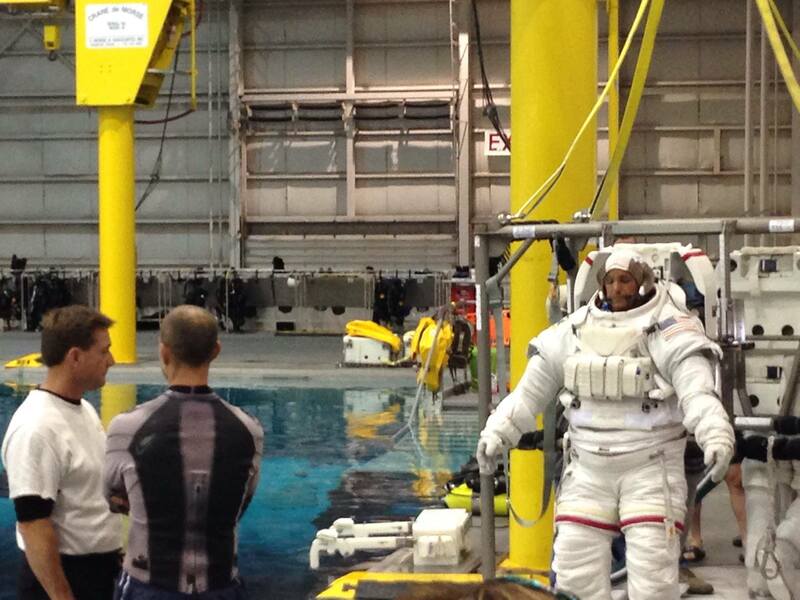 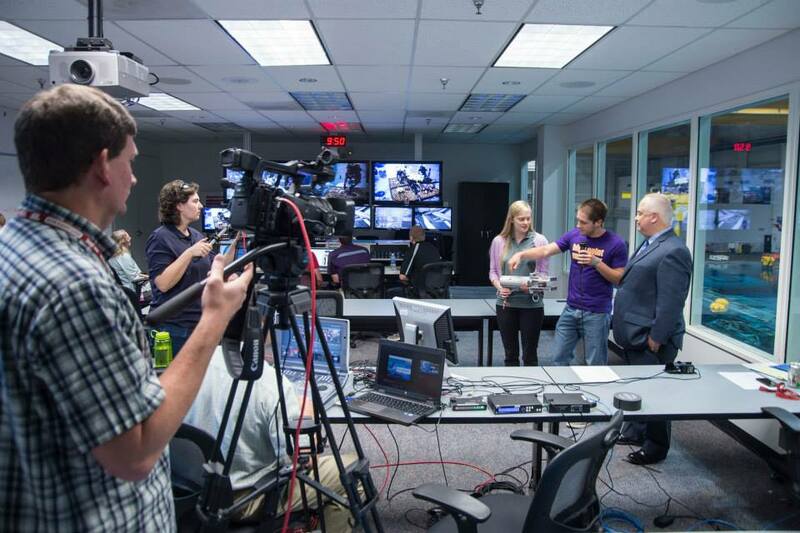 The team’s faculty advisor was Dr. Brad Barlow who assisted with every aspect of the project, including final assembly and changes on location at the NBL. 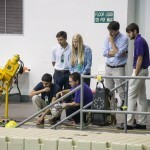 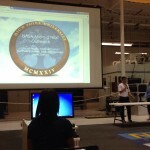 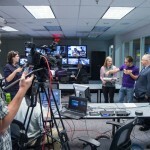 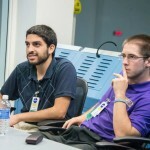 As representatives of HPU’s Society of Physics Students, the team received significant financial support for travel, tools, and materials from the Student Government Association. 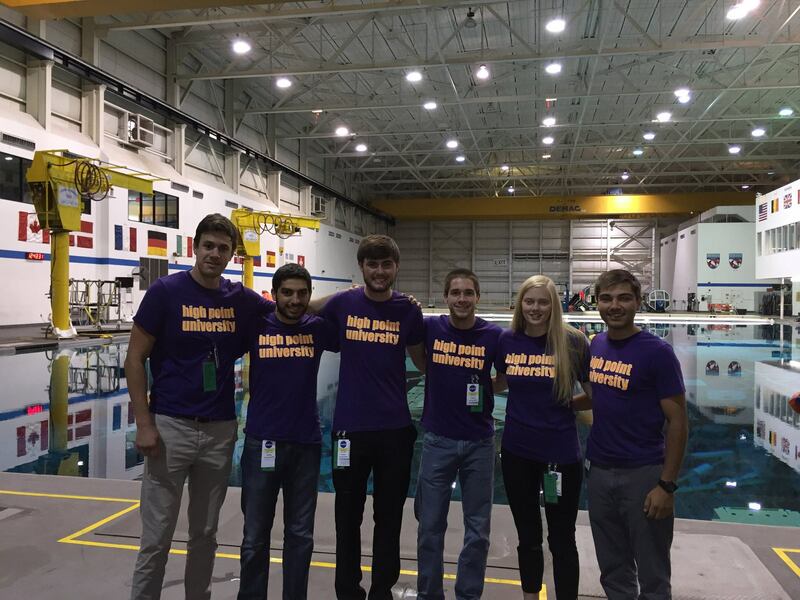 The entire team gained experience in teamwork, problem solving, taking risks, writing proposals, setting goals, and meeting deadlines.